New country, same old tricks. Not for the first time, Inter Milan coach Rafa Benitez seems to be using the media to influence his club owner’s plans – and it’s putting the Spaniard’s future at the Italian team under threat. At English side Liverpool, Benitez had the full support of the fans when he suggested that American billionaires Tom Hicks and George Gillett needed to buy more players. They were unpopular owners and have now been replaced. But it’s a different story in Italy, where Massimo Moratti has emulated his father’s presidency by overseeing Inter’s capture of Italian, European and world titles. Perhaps Benitez thought the perfect time to call for more investment in the squad is when he’s on top of the world, forgetting it also means there’s a long way to fall. What Rafa appears to have misjudged is the cultural difference between English and Italian football. His comments after Inter’s FIFA Club World Cup triumph don’t appear to be any harsher than his outspoken words while still at Liverpool. However, in Milan they seem to have caused far more of a stir. We interviewed Italian football writer and Inter expert Tancredi Palmeri on CNN’s World Sport show on Monday. He told me that no manager has ever been so critical of the club’s president, and it makes Benitez’s position at Inter untenable. He also said the Spaniard has admitted losing control of the dressing room by revealing that he scolded 15 of the squad for going to a private gym instead of attending a training session. History tells us that if neither the players nor the owners are on his side, a manager’s tenure is drawing to a rapid end. Italian football is now on its winter break and Inter’s next match isn’t until January 6. That either gives Benitez a chance to hold on to his job, or it gives Moratti time to appoint a new one. It is too early to sack benitez, though inter is not doing too well right now he still needs more time to adapt to italian football. 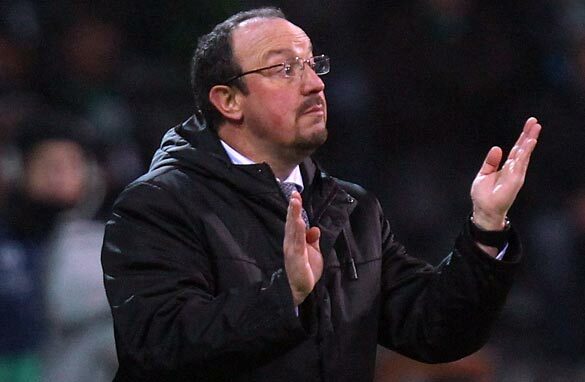 I am sorry Benitez, you should have been celebrating winning the Club World Cup and very grateful too. If I were you, I would have discussed the matter privately with my boss and if we never reach an agreement, I would call my agent. He forgot that everyone loves Massimo Moratti; after all Moratti deserves the most credit for inter's success for the last 5 years. Stupid Benitez. Mediocre coach.... What did you expect? rather lackluster games to boot. Rafa did well to call Moratti's bluff and get himself fired. Now he can sit home, collect big checks, and await another assignment. Benitez is a FAILURE! He completely destroyed Liverpool when he was in command... He was not able to make the best out of a world class team such as English powerhouse Liverpool. What makes you think he could do any different at Inter? Please.. What a joke!!! Benitez was the worst decision that Inter management could have made!!! This guy destroys all the teams that he coaches and he is not a winner!!! Inter would have been better off with anybody else instead of Benitez with his big ego and emotional problems.. The guy has 0 talent and 0 people skills, he even admits he lost control of his team.... WOW! No Surprise there for such a worthless coach... This guy should not be the coach of such a great team as Inter! The best thing to do is to fire Benitez right away!!! Get lost Benitez... go take a course in people skills and maybe consider a change of profession! This confirms that Benitez is an average manager. yes he won the champions league with Liverpool and pushed United all the way a couple of years ago but personally I thought his tactics were poor,far too cautious and bought some really really bad players like Mark Gonzalez,Zenden,Pennant who were far to big for a club like that and the amount of money he wasted on other rubbish players is extraordinary. Moratti must fire him because this team has still got a lot to give but Benitez is destroying the club,been 7th in Serie A for a team as talented as Inter is nothing short of shocking considering how poor the other teams including AC Milan are. As I previously stated this guy has been fired!!!! Ooops!!! A just outcome for a horrible coach who destroys all teams that he commands... This guy simply does not have the brains or the talent to coach at the highest level.... I hope he fades into obscurity... What a loser!!! A support Liverpool FC. Inter should fire Rafa now, terrible manager. All I need to say is Aquliani. To be Flat honest Benitez is a liability to himself and the soccer community!! This is a comment to Gary... Dissing Italian football is alright, but the current European and World Champions hail from the Serie A, i can't help to think what the state of the other leagues are like if the Italians dominated in 2010! And if you are honestly defending Benitez, clearly you have no idea about football at all! He is without doubt one of the worst managers in the world! He got a brilliant team from Hector Cuper and won the league, he inherited another team from Gerrard Houllier and won the Champions league and FA Cup, down largely to Steven Gerrard, and then his public outburst that the European, and now World, champions would not be able to cut it this season. This guy has no clue! All he does is get other peoples teams and add other managers trophies to his ciriculum. Where have i heard that he will be a future Real Madrid coach? Barca could only wish for something like that to happen, as all he will do is run them into the ground for good! actually it benitex strategy to provoke the club owner to sack him so that he can earn easy money without doing anything...look at the way inter play under his command probably dont stand a chances to lift italian trophy.. I just read that Benitez has earned a total of USD 6 million for being lousy (his payoff from Inter and Liverpool combined). Guess he's not as dumb as he might appear eh?